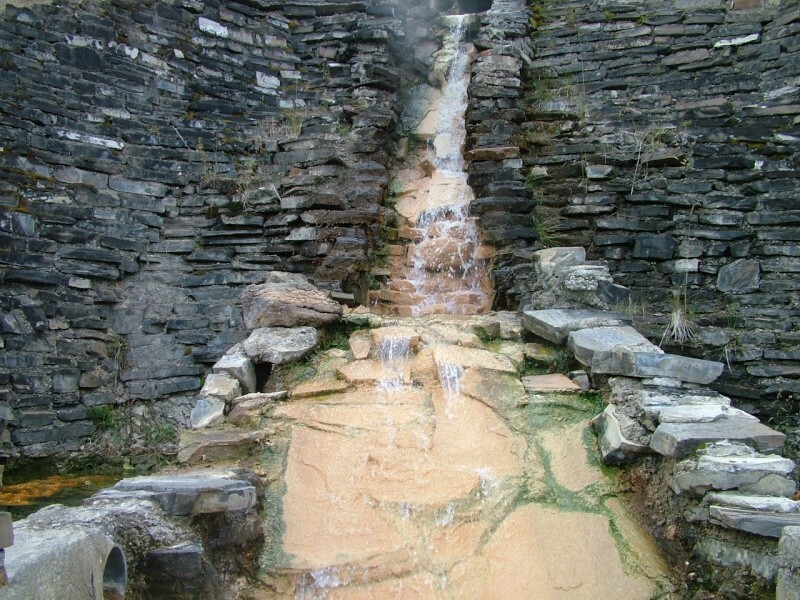 This picture show the boiling water coming from the mountain and feeding the hot springs in Banff you may be able to see the steam at the top of the picture, the smell of sulphur was very strong, the water is so hot they put cold water with it to enable people to sit in it . The pool is 40 degrees that with an out of pool temprature of about 3 degrees is a shock to anyones system but very invigorating. yes i had a go it was amazing the advice we were given was to sit in the pool for 20 mins then sit on the side for 5 mins and just do that as often as you like we were there for an hour. We also visited one in another place but that one you could swim through the rocks that was as they say awesome. There is a hot spring up in Cottonwood pass here in Colorado we like to go to, but this one looks really hot! There was me thinking this was the overflow from JPs bath. Awesome !! Everything is great, comp, color, & clarity...spot on !! It is that big hollow thing in your bathroom, and no not the thing you sit on. Did that clarify that for you Stinky? Another very nice shot from you Sue, I have enjoyed seeing all the different places. Well done!